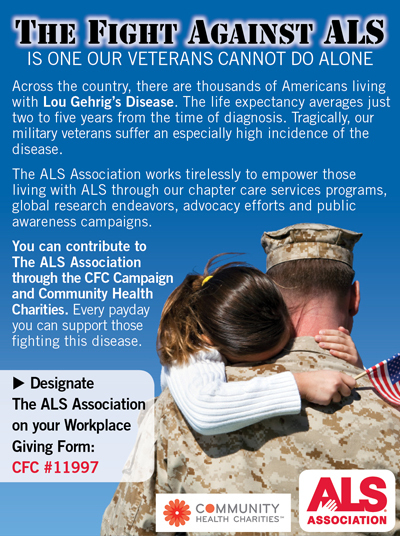 Did you know that you can help fight ALS every day? You can—and the workplace giving program makes it easy! Workplace giving enables you to set up payroll deductions that support The ALS Association. It’s a simple, convenient way to support powerful change and advance the search for a cure for the thousands of Americans living with ALS (Lou Gehrig’s Disease). One way to participate in workplace giving to The ALS Association is through the programs administered by Community Health Charities (CHC). CHC connects American workplaces to credible charities focused on addressing our nation’s most pressing health issues and has represented the most well-respected health charities in our country for more than 50 years. As a proud member of CHC, The ALS Association has met stringent criteria to ensure we deliver more of every dollar donated into the hands of those who desperately need it. The Combined Federal Campaign (CFC): Federal and state employees and members of the military may participate in workplace giving through the CFC. Simply designate The ALS Association by writing #11997 on the Workplace Giving Form. The Private Sector Campaign: If you work for one of the companies listed here, you are part of the CHC's Private Sector Campaign and can make a gift through payroll deduction. When you participate in workplace giving, you commit a powerful selfless act with every paycheck. Your donation supports patient service programs and nearly 100 research projects funded by The ALS Association. Is your company part of the Matching Gifts Program? You can double your gift to The ALS Association simply by completing a matching gifts form. If your company isn’t listed, it may still have a matching gifts program. Check with your Human Resources department for more information. What if my company doesn’t participate? You can be an agent for change! If your company doesn’t participate in a workplace giving program, encourage it to do so. When companies participate in workplace giving through CHC, employees have the opportunity to select the health causes more important to them and know that their charitable dollars are spent wisely. Access the CHC Workplace Giving Interest Form. You can also donate to The ALS Association here. 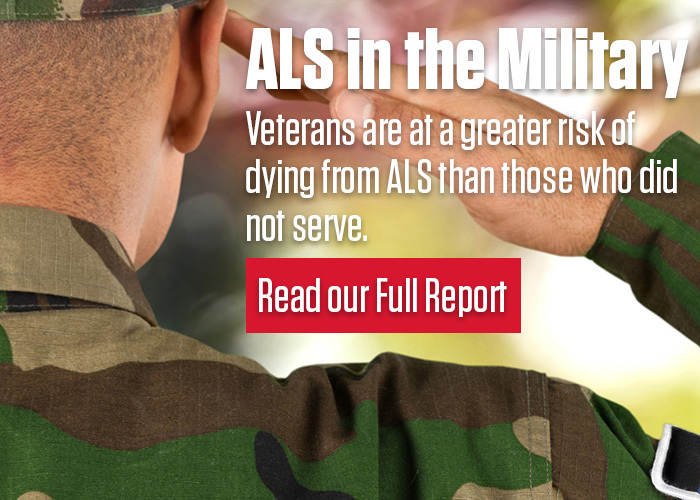 Life expectancy for people diagnosed with ALS averages just two to five years. There is no cure. The ALS Association supports those living with ALS through our chapter care services programs, global research endeavors, advocacy efforts and public awareness campaigns. For additional information, or if you have questions, contact donations@alsa-national.org.